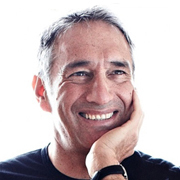 Ron Dembo is the founder and CEO of Zerofootprint, a software company that focuses on turning big data into behavioural change. Zerofootprint involves hundreds of thousands of children and adults worldwide in programs to reduce their environmental footprint. 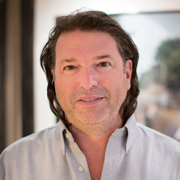 Dembo is also the founder and former CEO of Algorithmics Incorporated, growing the company from a startup to the world’s largest enterprise risk-management software company, with offices in 15 countries. It boasts more than 70 percent of the world’s top 100 banks as clients and consistent recognition as one of Canada’s 50 best-managed companies. Prior to this, he had a distinguished 10-year academic career at Yale University where he was cross-appointed in Computer Sciences and Operations Research. In May 2007, he was made a lifetime Fields Institute Fellow. This fellowship is awarded to individuals who have made outstanding contributions to the Fields Institute, its programs, and to the Canadian mathematical community. He has authored more than sixty technical papers on finance and mathematical optimization and three books, and holds a number of patents in Computational Finance andSoftware for Climate Change. He currently sits on a number of boards and is a member of the Climate Change Adaptation Advisory Committee Canada and the UN HABITAT World Urban Campaign Steering Committee. Dembo has a BSc from the University of the Witwatersrand in South Africa and an MSc from the Technion-Machon Technologi Le’ Israel, both in chemical engineering, and a PhD in operational research from the University of Waterloo.